You must make reservations at least 5 minutes in advance of the time at Dana's. Welcome to Dana’s! 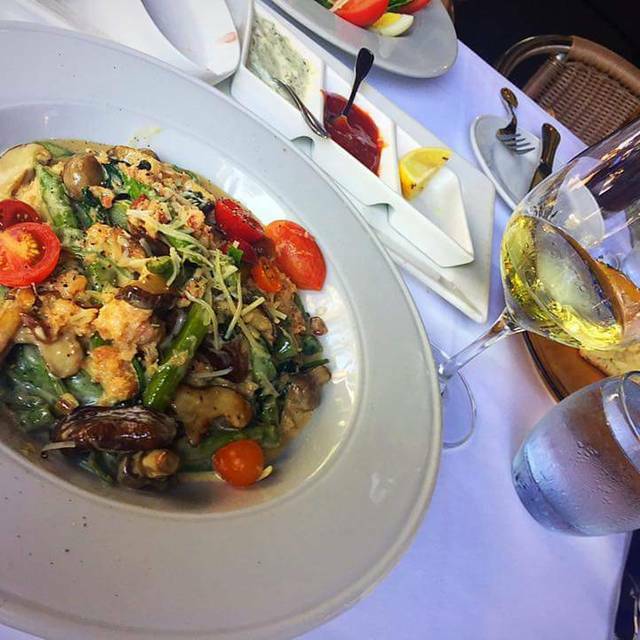 Tucked away in a lovely tree lined area known as The Livery in Danville, you'll find Dana’s, a fine dining restaurant and cocktail lounge where you can come to enjoy exquisite cuisine, great wine, fun drinks and great company. We are focused on taking traditional flavors and bringing them to life with creative combinations and bold presentations. 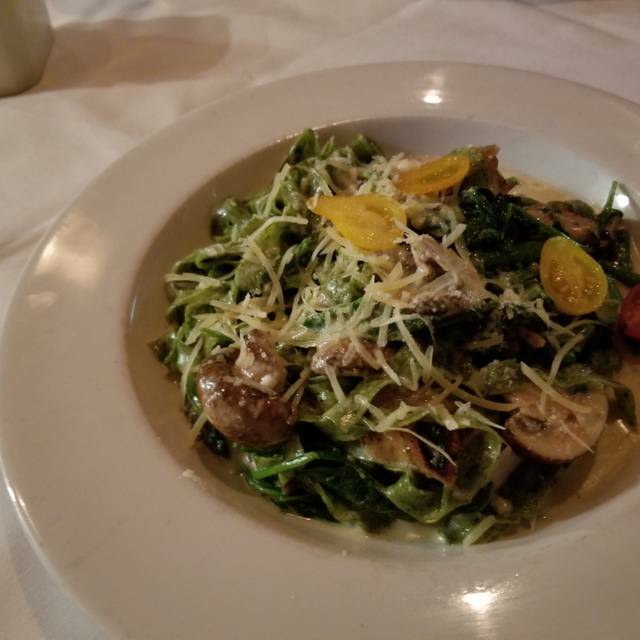 With many choices on the menu at all times, our kitchen will cultivate dishes that explode with bold flavors and are designed to please even the most discerning palates. We asked for a window table in the bar area & they were very accommodating. The staff was amazing. Friendly & attentive. Food was great. We will definitely go back again. Terrific This wasn't our first dining at Dana's, but the rating is the same... outstanding. I read several great reviews and was not disappointed. Food and service stood out. We'll be back! Our waiter, Eduardo was excellent!! He was very helpful and smiley. The filet was wonderful . My husband had the special, Spare Ribs. They were more like pot roast. We love coming here. Wish you would put the Brushetta back on the menu though!! This place is our new favorite! Great vibe and amazingly good food. o it was not too noisy and we were left alone to visit & dine at our leisure. Great spot! The whole experience was excellent from the time we entered until leaving a couple of hours later. 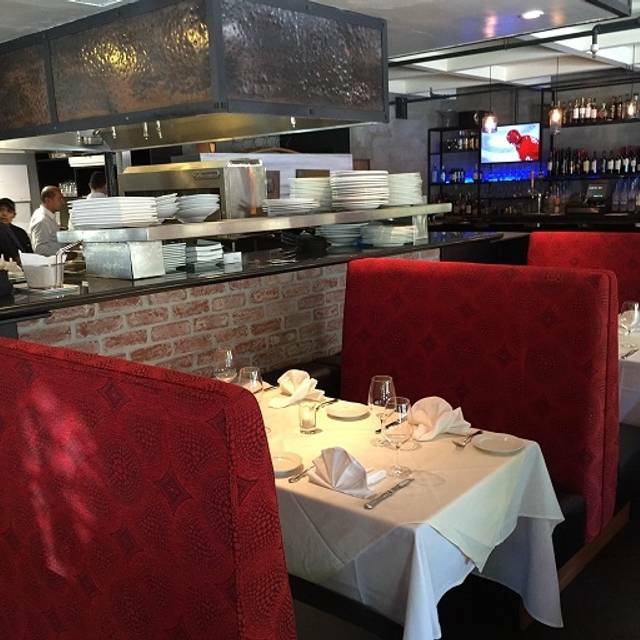 Private booths make for distraction free dining with friends. The food was not only great tasting, but beautifully presented. The eggplant parmesan is a work of art . Food and rustic ambiance are attractions to us at this small restaurant. Service by Dori and her aids was exceptional. I really don’t know how Dana’s stay in business. This is my third time there and it will be my last. Every time I go there is a problem. Yesterday they screwed up two of the orders and by the time they got it right the orders that weren’t screwed up were cold. Although the waiter apologized they didn’t do anything else except blame the kitchen. We arrived for our 7:30 reservation and were told it would be 20 min for a table to open up. We sat outside and had some wine while we waited for a table inside. We ordered our food then the waiter told us the chef had an emergency and that he had to leave. We would wait another 20 minutes for our food. The waiter offered us a cup of soup but we declined as we had already shared the calamari. When the food arrived, it was delicious! Dana’s is one of my favorite places to eat. 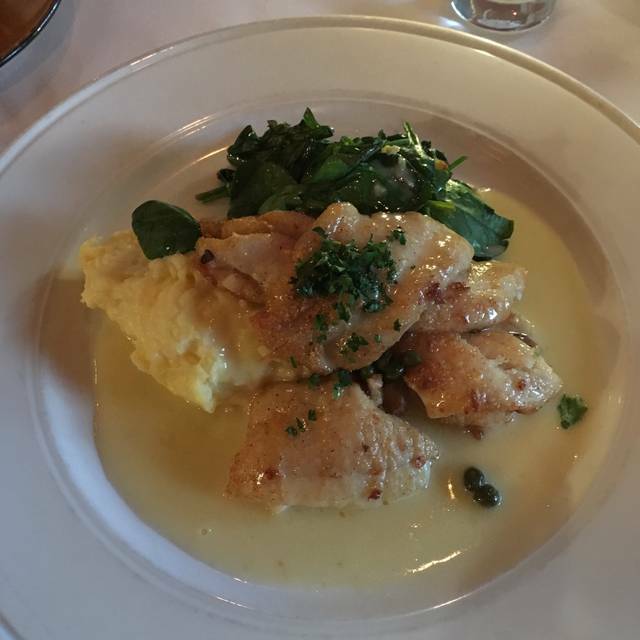 I always order the petrale sole as it is done perfectly. Although we ate later than we normally do, the service was still very good and the food excellent. 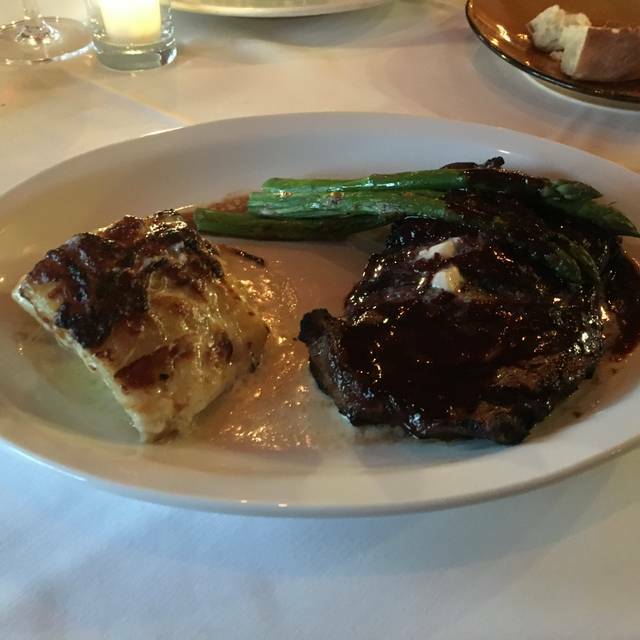 Great food, great service, could’ve used little more ambiance given it was high-end, ...but would go back! Great service, my crab louie was terrific. I did forget my to go left over box- I was wondering if they could have called since they had my phone number to come back and retrieve. Food was well prepared, presented well and tasty. Dana's is now a go-to restaurant for us. Food is consistent, drinks are well-made. This time, however, the owner kept wandering by our table and staring at us as we were almost finished. It was very crowded that night and it was obvious he wanted us to give up our table. This was annoying and uncomfortable. Our first time there and we will be going back. The food was excellent. I started with their onion soup and my wife with I had the scallops and my wife the seafood stew. The scallops were perfectly grilled and served on a bed of delicious vegetables that were crispy and well flavored. Portions were generous. Service was good and staff and owner very friendly and responsive. Happy to find such a restaurant close to home. Was pretty disappointed that my request was not honored. My friend and I were celebrating her birthday, but the restaurant would not acknowledge that. Great little restaurant..noise is a factor as tables are so close and it becomes difficult to carry on a normal conversation. Nice setting, good pricing, food was a tad too salty. Will return. One of the worst dining experiences I have ever endured. The service was so slow it was ridiculous. After an hour waiter finally brought some bread to our table. When the food arrived after it was dreadful. Crab melt was cold and tasted awful. Surprised we had to wait for our table even with a reservation. Hostess was nice about it. We went on Valentine's Day so it was very crowded and we had to wait 20 min past our reservation. The only issue was my food was not that hot when it arrived. I think it was due to the big crowd and lots of people at the same time. Our starters were good and my husband's entree was hot - mine tasted good just was not hot enough. The entire family spent Valentine’s dinner together. The food was great, ambience was outstanding. Service was a touch slow but it was Valentine’s dinner so completely understandable. This is a small but upscale restaurant in Danville. The food and service were outstanding. Since it is rather small, the tables were situated very close together, which makes it difficult to have a discussion with your dining partner. However, all else was fabulous. Food was tasty, though my soup was not hot enough. Ambiance really nice. Loved sitting in the high backed booths. Always great food. The service can't be beat either! They also honor their reservations. Our server today really disappointed us. She forgot my husband’s soup, didn’t apologize, but sounded happy when we said to just cancel the soup order. The kitchen mixed up our plates as well. Our server made a point to tell us two times that the cook is new, blaming him rather than her not paying attention to the orders. The biggest problem is when we asked about a crab cake appetizer that we had ordered and hadn’t arrived yet. We asked the bus boy to check on it and we saw him go talk to her. She clearly had forgotten and we saw her scramble to the computer to put the order into the kitchen. Then she came over and told us the kitchen was “still” making them and made a point again to blame the cook since he’s new. If she had just admitted to forgetting and not lie to our faces, we wouldn’t have been so offended but it was clear she was lying to us. Integrity is so important and she just ruined the meal for us. So disappointing because the food and ambiance are excellent. Very professional service and food was excellent. Will return again. We weren't sure what to expect as the appearance seemed very simple. However, the food was just wonderful. We were all completely content with not only the flavors and variety of food but also the portions. The drinks were excellent as well and our waiter Hector was just wonderful. Not one complaint about this restaurant and we will be back for repeat visits! It's a hidden gem. It was a truly delicious dinner. 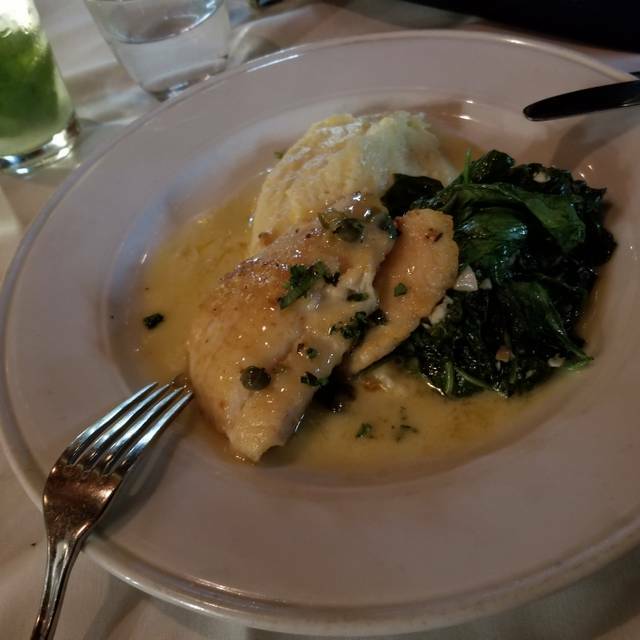 The filet of sole is exceptional. We also had the cheese fondue as an appetizer and it was a real treat. We finished with a scrumptious berry art. It took a while to get a waiter. Finally the hostess had a waiter from another area take care of us. It was great. The bar is OK the food is certainly good. It was extremely warm in the restaurant since the kitchen is right in the middle have put off a lot of heat. Food was delicious, but it did take quite a while to complete the meal. About one and a half hours. The Seating was a little uncomfortable. Had reservations but the only seating available was a table right behind the Hostess where we would feel the wind every time some one came in or an uncomfortable booth at the bar. The food is always great. The menu is large and we are always happy. Sat us in the bar with heat directly on us from the kitchen. Never apologized even though we had a reservation for the dining room. Hostess was rude and unapologetic. good food, great service, meh atmosphere. Not really romantic where we were.